Gladiator fights await you! This creation is built in the best traditions of the ancient Romans. Here you will see a stylized arena and classes for all fighters. Players can choose one of three classes and enter into battle after the gate opens. The number of players is unlimited, which can be used on Minecraft PE servers. This arena is built in such a way that all players are in equal conditions and the winner can only be the strongest. 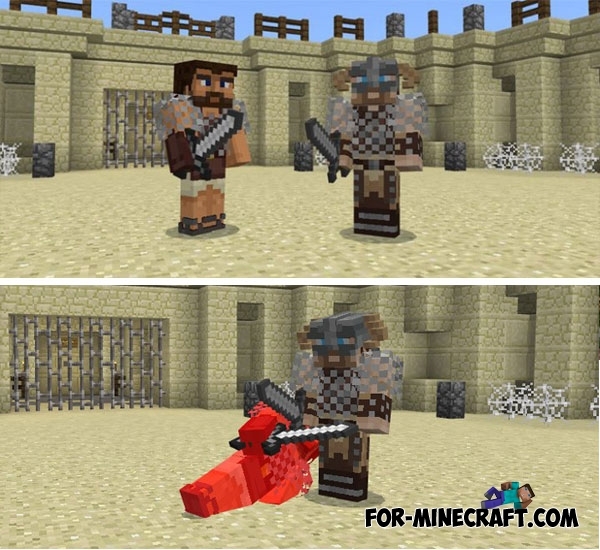 The Gladiator Arena has many chances for development and improvement, but even without it you can create your own kits or add mobs such as horses or opponents.